Have you ever thought about your thoughts and how those thoughts have created your current circumstances? Do you blame others for your life events? If you are in a ‘good place’, do you claim the pat on the back for steering your life-craft to still blue waters? Are you happy and content, or are you complaining and miserable to be around? Have you bought into ‘victim’ behavior, constantly seeing yourself as a poor victim of circumstances, and continuously re-affirming your plight with anyone within earshot? Or contrarily, are you taking responsibility for your current station in life and owning your role in the decisions that have created your current life situation? There is no way to be a victim when one claims responsibility for life, regardless of the circumstances. The simple act of saying, “I AM Responsible,” releases any holds that others may have had in the past, and it takes the onus for individual events to precisely the place it needs to be in order to empower you. When you make a clear decision to acknowledge your full culpability for your life, you have won. Claiming responsibility for one’s life is the single most empowering action that we can ever take in life. By taking responsibility for all of life events, we are effectively taking the helm and guiding our self to the dream line. This is the place where we accept our whole (gestalt) sum. It is also the psychic space where we are most fully aligned, body, mind, and spirit. 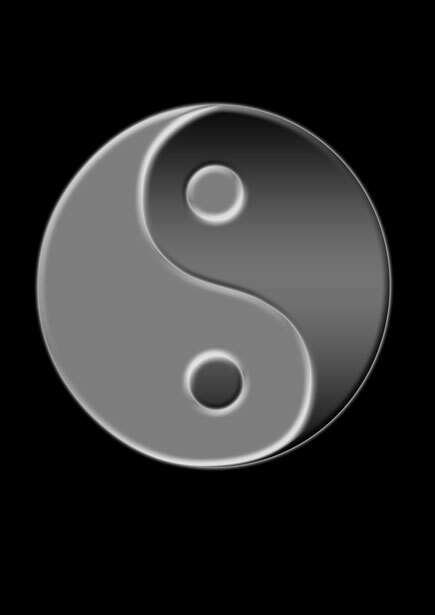 This alignment is where integrity, strength, and personal power fuel us thru thick and thin to achieve great advances, rapidly. It is no secret that our thoughts create our reality. We manifest, for good or not, and we are only made whole when we recognize the truth in that statement. Never again feel like a victim. Give up any tendencies towards martyrdom. When you claim your responsibility for your life, for all of your life, you are claiming your right to live your life fully, and on your chosen terms. It’s your life. What are you doing with it? *As always, this content is copyright protected by Paris D’Aglion. No part of this may be copied, quoted, or transmitted, including transmission by electronic means, without express written permission from author or her legal representatives. Feel free to link relative sites to this blog. ** Coming Soon! Escaping the Chrysalis: Tools for Transformation into Divine Wholeness. Today I thought I would share a little “Me Time” with you. It’s Friday, and by the end of the week we generally need a little “me time” so take a break, and indulge in this affirming video. I have been checking in on Oprah‘s Life class this week, and a common theme is most obviously permeating the pages. It seems that almost every comment has to do with wrong thinking. You see, we begin learning things about ourselves as soon as we exit the womb. Most of the message we learn about who we are, and who we should be are erroneous. The lessons are taught by supposed caregivers, but just because they are in the role of “care-giver” does not necessarily mean they have the expertise or good judgment needed to raise a healthy child. This doesn’t mean that all guardians are cruel or ignorant; it simply means that we pass on generational thinking, and that thinking is not always the best or most supportive for anyone’s wellbeing. Few adults have what I will refer to as “right thinking” even when they hold degrees from Ivy League institutions. Most humans are raised with a thumb pressing down against self-esteem, and with societal dogma and mores that dictate the adage of not being selfish. As a human race, how few of us begin each day with affirming our unique place in the universe? Is there a school on the planet that actually promotes self-sufficiency and self-love? Did you learn how to positively affirm your wholeness with every action you take? Are you aware enough to hear your own self-sabotaging jokes and negative affirmations in your own speech patterns? Absolutely, affirmations work. They work when you set an intention, and they work when you are ignorantly self-depricating. All one has to do to realize the power of affirmations is to look at one’s life at any present moment. You are manifesting your life experiences all day, every day. If you like what you see, you are apparently doing something right. If not, change your focus. Consciously manifesting the life you desire is much more fulfilling than stumbling around feeling like a puppet. Are you the sort of person who puts on a sweater and then complains that it’s too hot? Are you so comfortable in the familiarity of misery that you continue to set the dynamics to perpetuate things for which to complain? THIS IS YOUR LIFE. It is up to you now to take the helm, to guide you to your harbor of choosing. Begin the journey by setting a well-defined target. Hear your words, whether they are inside your head or muttered aloud. Your words have meaning and power. Now that you know this, use your words to help catapult you to the freedom of fulfillment. And if you’re in Oprah’s Life class, good for you. The program is fast paced and seems to be an immersion experience into the whole gestalt-ness of you. And if you’ve been reading this blog for any length of time, you know it’s all about the complete gestalt package here. You are gestalt. You are whole and complete and perfect in your humanness. NO ONE ELSE CAN DECIDE WHO YOU ARE OR HOW YOU SHOULD BE! Now do yourself a favor: Go to the mirror and practice making eye contact with yourself. When you have mastered looking yourself in the eye, let the pure love in your heart pour out to that reflection. You are worthy of whole, non-jugmental love, acceptance and appreciation. Let it begin with you. Start the process by loving you fully, wholly, unconditionally. And no more self-depricating humor. You are not to be dissed, even under the guise of humor. 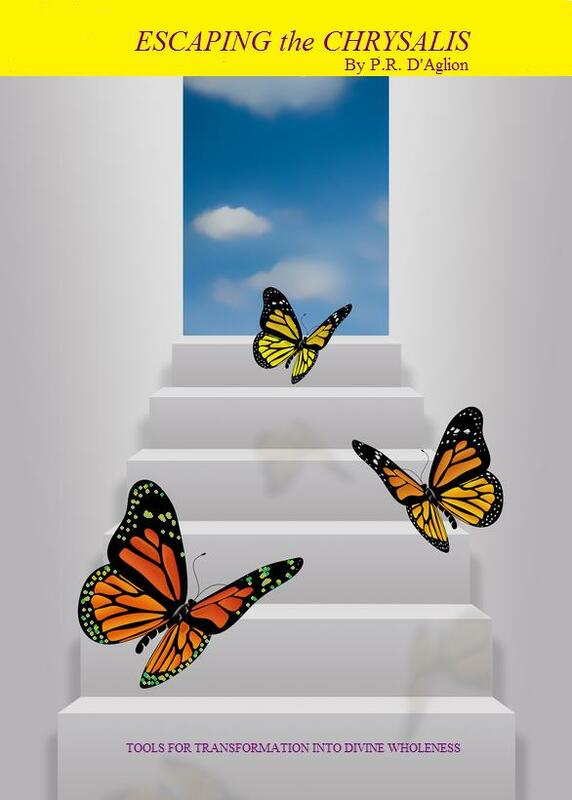 Coming soon: Escaping the Chrysalis: Tools for Transformation into Divine Wholeness. “…thought is the most powerful tool in the cosmos. Gestalt couples the magnificent forces of life-giving thought with enhanced overall self-awareness as the way to optimal health. The process is attentive to the whole being’s wellness: a sound mental state; accurate body image; attention to breath; physical wellness; consciousness of the equally important emotional and physical nourishment as all input effects physiology; the health benefits of letting go of emotions that cause disease. The preceding quote comes from, Escaping the Chrysalis: Tools For Transformation Into Divine Wholeness by (Yes, yours truly) P.R. D’Aglion. It is ripped from the pages of the Gestalt for Wellness chapter, and is placed here as a salacious teaser to entice the eventual purchase of the book (It’s not yet released). It may seem silly to post such an abstract paragraph, but here’s the brutal truth: Because publishers (and of course, literary agents) are only interested in putting their resources (read that as time and money) behind a project that is most probably going to sell and quadruple the investment, writers must prove that we have a platform eagerly awaiting the finished publication. My thinking is that if I can generate enough interest, and can then convince the publisher of that interest as it translates into dollar signs, then maybe they’ll bite the dangling (completed) manuscript. More honesty to ponder is this: I have quite a unique following of the public: Most specifically, the portion that is seeking personal growth and transformation. I speak publicly, conduct gestalt training groups, write books, attend readings and of course, blog incessantly. As a so-called “specialist” of human nature and especially of gestalt techniques for expanding the collective human condition, and bolstering the self-esteem of the population, my ‘platform’ is relatively large when compared to the masses. I’ve also studied the now-mainstream concepts of the law of attraction and the right way to manifest thru right affirmations. All this has been a solid foundation of my ‘platform’ for over thirty years. Still, this is not quite enough to convince a certain handful of agents that they can sell my book to the big house publishers. This annoyance gets me to thinking about all the authors out there writing good stuff, but being without any definable platform. How much valuable information and creative thinking goes by the wayside because the houses are chasing the next big one. The next big one of yesterday, today is The Help, a book that reportedly was turned down some SIXTY times! Talk about tenacity! I’m pretty certain that I would have stopped sending query letters after about number forty. And look at it now! The Help is a smashing success that will continue to make the author a sizeable income for decades to come. Overall wellness demand that we be aligned and balanced. Nature meant for us to be at peace within ourself, and to achieve what it is that we set our minds (& B.S. detector) to. So today, right now, take a moment and heed the message of your personal detector. Are you on track for greatness? Do you have a goal or do you have a dream? There is a difference, and that does not mean that dreams are not important; they are. Dreams are goals waiting to be set. Dreams are the fodder of greatness, and goals are the steps to reaching the target. It’s pretty simple. How’s your health? How’s your alignment in every major area of life? Are you in tune with yourself? Are you listening to the messages from you to you? Have you oiled your communication pathways lately? Can you clearly hear the messages? Do something nice today. Look in the mirror and make eye contact and tell the guy looking back that you really love him. Then maintain eye contact and allow the inner detector to speak. What is the emotion coming out of your core? Accept, without judgements, the feeling, and continue to look at yourself. Once more, say I love you. Do this daily, for the rest of your life.